Smart tips and recommendations for Paris for event tourists. Advices for the best restaurants and accommodation options as well as the attractions of the city. Not only Europe’s or France’s but also the world’s most famous city Paris awaits you with all its poetic beauty. Forget about all the movies, poems and books about Paris. Come and live this magic by yourself. Paris is beyond everything that can be told. The city of romance, city of art and city of light, “La Ville Lumière” offers you more than you can imagine. The famous French cafés and cabarets, the deep history of France that has been being told for centuries, renowned men of letters and philosophers are just the little part of what can be mentioned about Paris. Being France’s apple of its eye, Paris is ready for your discovery. Paris has many things to do and so much to see; however you can take a tour overall of the city by walking just in 2 hours. Paris metro is a symbol of the city and of France but if you want to take the most of this wonderland, you had better prefer walking. Baroque architecture, amazing cathedrals, little unique streets and Paris apartments that are located in generally 6-storey apartment blocks, reflect the historic face of France and Paris atmosphere. Courtesy is crucial for Parisiennes and for all the other people of France and they expect the same from the others. If you treat them kind, they will respond you in the same manner. However they are not that tolerant to people who lacks kindness. The capital of France is located by the River Seine, and in the north of France. It is 450 km southeast of London. You can find many direct flights from many major airlines. Taking the train to Paris is one of the most preferred way of getting there. Paris’ two main airports are Charles de Gaulle and Orly Airports. Charles de Gaulle Airport which is the busiest airport of France is located 30 km and Orly Airport is only 13 km away from the city center. Beauvais Airport is also an option for charter flights from European cities that is located approximately 90 km away from Paris. For the transportation options from airport to the city center or directly to the venues, you can visit the website of the Paris airports and have detailed information. Paris metro is famous both for its architecture that was inspired from Art Nouveau and the central stations. The route is 211 km and nearly 4.5 million people use this transportation system a day. To have a museum card is also easy. You just fill out the form on the official website of Paris Museum Pass and get your card at your hotel in Paris! The biggest and most famous museum not only in France but also in the world, Louvre Museum is the place that you will regret if you leave the city without visiting. Louvre Museum offers everything you need on behalf of art including sculptures, prints, antique civilization art and so on from Middle Ages to 19th century. Having the largest Impressionism and Post-Impressionism collections in the world, Musée d'Orsay is as impressive as Louvre Museum. It is located in Gare d’Orsay which is an old train station and amazes also with its architecture as well as its art collection. Upon the request of Auguste Rodin, his complete collection is on display in Hotel Biron surrounded by a magnificent garden. In the museum you can see his symbolism or naturalism masterpieces. Paris is like an open air museum since it is a city which is full of palaces, bridges, cathedrals, museums, parks and towers in every corner. Nevertheless, there are some specific places that you definitely visit before you leave. These two cafes are among the most famous French cafes in the city since they were the favorite cafes of Camus, Sartre, Simon de Beauvoir and Hemingway and we highly recommend you to visit these tow cafes to feel the spirit of French intellectuals of history. French Cuisine is presumably the most prestigious cuisine on the planet. There is an astounding differences from south and north of the nation. Margarine and olive oil are the lords of this cuisine and have the astounding taste. The last however not the slightest, don't leave France without tasting the mysterious wines and from the colossal diversity of cheese. Paris restaurants are also worth mentioning since they give you a general idea about the culture. The places where you can taste quiche, cassoulet, crépe, baguette and croissants and the other heavenly tastes from the world-renowned cuisine of France accompanied by the best wines in the world are listed below. Located on the 2nd floor of Eiffel Tower, Le Jules Verne offers a great feast at 125 m altitude. Having one Michelin star, Le Jules Verne is the place where you can wine and dine both without seeing Eiffel Tower in Paris. However, you may need to make your reservation a month ago. What about having your dinner at the same place with Emile Zola and Guy de Mauppasant? Café de la Paix is one of the iconic and historic restaurants in the city offering you not only an alluring atmosphere but also the great tastes. You cannot limit the tours here that you like to take but the Disneyland tour probably the best tour that you can take. No matter how old you are, a Disneyland experience will strike you with admiration. Do not forget to use the expressions “Merci”and “Excusez moi”. Like all the other people of France, Parisiennes are very sensitive when it comes to courtesy. Travelling by car is not that common since the roads (especially in historic areas) are not driver-friendly. Taking the metro or walking will be the best choice to tour around the city. Having the Paris Pass, the city card that will provide you with many discounts both in public transportation and museums will make your travel easier. The traffic jam around the Champs-Élysées and the Arch of Triumph can be tiresome. So try to think twice when you want to be punctual. 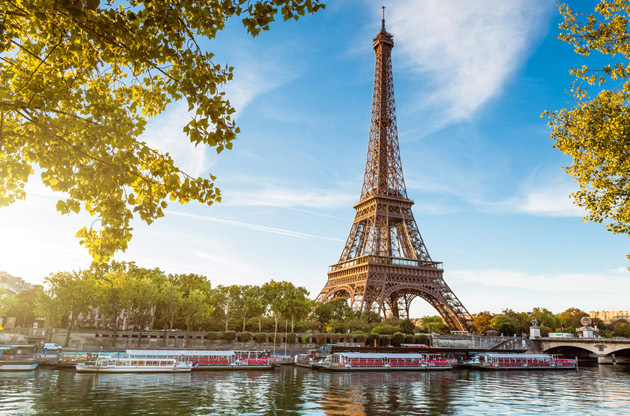 Not only of France but also Europe’s capital of economy, politics and history, Paris is a major attraction point in the field of event organization. Its open transport network, famous gastronomy, high class venues with high capacities, world-renowned hotels and legendary landmarks make Paris a matchless hub for international meetings. Every year, millions of people come to Paris for congresses, fairs, exhibitions, symposiums and conferences from all over the world. Thanks to the perfect organizations that Paris can manage, each of these events plays a leading role in their own sectors. How Safe the Popular Event Cities in Europe after the Terror Attacks?